Popcorn beads". 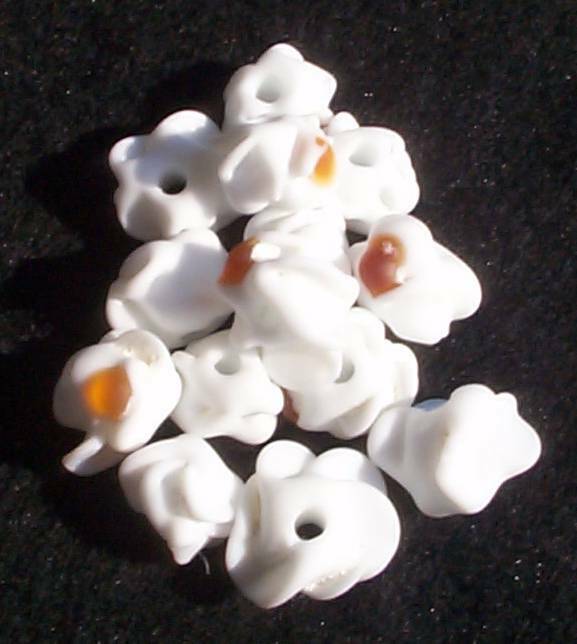 I've had some requests for just the popcorn beads and here they are. Each bead has been put in an etching solution to give them a matte finish. 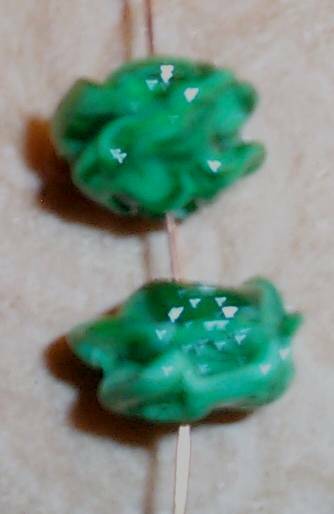 Price: $3.00 per bead. "Red and Green peppers" I had to buy a jar of spaghetti sauce just for the picture of the green pepper on the label! Each pepper measures about 15mm long by 9-10mm wide. Your choice-red or green peppers. Price: $2.00 per bead. 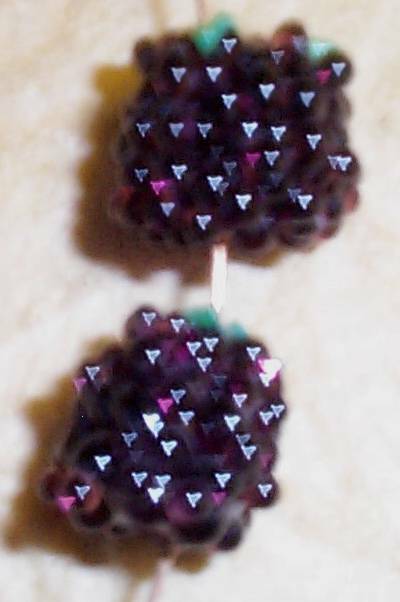 Eggplant-Each bead is about 13mm high x 9mm at widest point. The eggplant is a medioum transparent purple with opaque varigated green leaves. Price: $2 per bead. "Red Hot Chili Peppers" These little devils are about 18-20mm long by about 4mm wide. There is a small hanging loop at the top of the bead. Price: $2.00 per bead.